“This was another amazing year between Sunwing and RIU. We are a perfect match,” said Hugo Aguilera, director of business development, partner marketing, groups and romance for USA and Canada at RIU Hotels and Resorts. 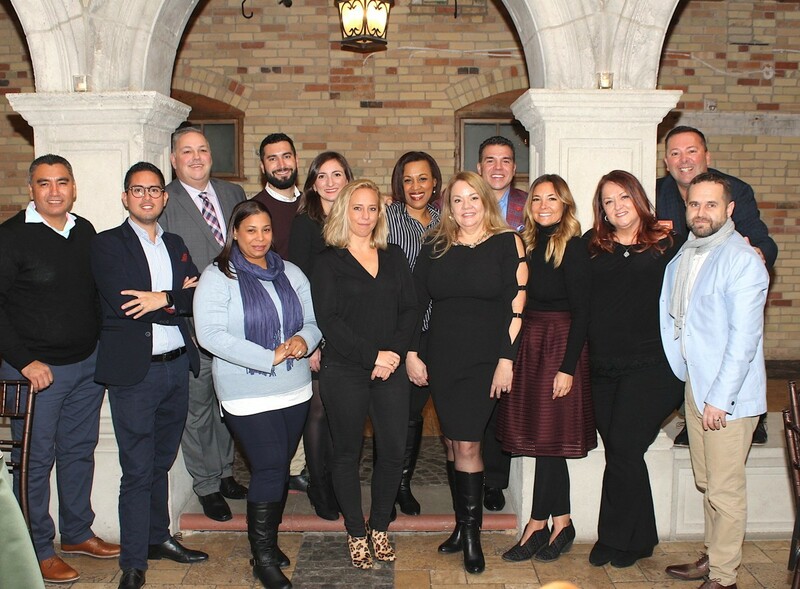 Aguilera, his colleagues and representatives from Sunwing Travel Group celebrated their long-standing partnership yesterday (Dec. 5) at the Spanish-style Hacienda Sarria venue in Kitchener, ON, as part of their annual agent appreciation holiday party. The lively event, now in its fifth year and the first edition to be held outside of Toronto, welcomed close to 50 of Sunwing and RIU’s top-selling travel agents, who were treated to a lunch and presentation that outlined RIU’s latest projects from 2018 and announcements for the new year. 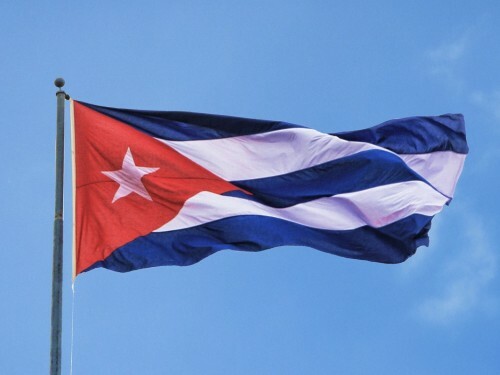 This past year was a big one for RIU, which opened two new Mexico properties in 2018: the RIU Palace Costa Mujeres in Cancun and, just this month, the RIU Palace Baja California, an adults-only resort in Cabo San Lucas, which marked the brand’s twentieth hotel in Mexico. 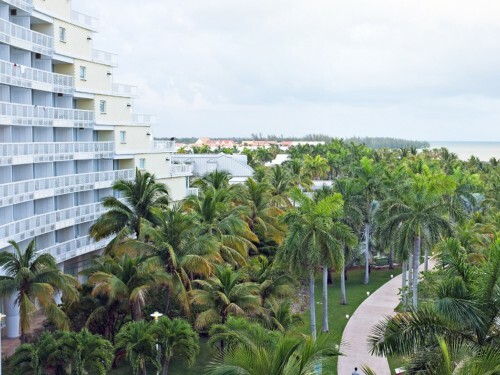 RIU Hotels and Resorts also completed major renovations to some of its existing resorts, notably the RIU Tequila in Playa del Carmen, the RIU Palace Tropical Bay in Negril, Jamaica and the RIU Palace Punta Cana in Dominican Republic. 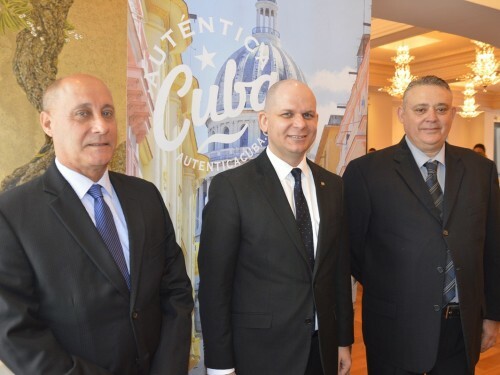 Mr. Dawson said Sunwing customers can expect a whole new look from RIU’s properties as new properties open and renovations continue to unfold. 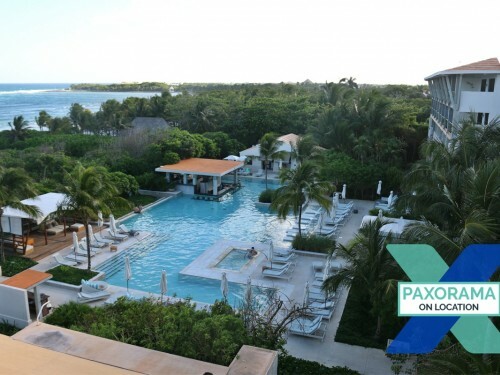 “The dark mahogany that was once a hallmark of RIU is gradually being replaced,” Dawson told PAX, citing the “light and bright, complimentary accent colours” that were used at the new RIU Palace Costa Mujeres as an example. RIU’s upcoming renovation schedule for 2019 includes work on the RIU Ocho Rios in Jamaica (April 29-Sept. 14), the RIU Palace Riviera Maya in Playa del Carmen (summer 2019) and the RIU Vallarta in Puerto Vallarta (also summer 2019). The company is also expanding its line of city hotels, with the opening of the Hotel RIU Plaza New York Times Square and RIU Plaza España in Madrid, Spain. A second RIU in Times Square is in the works, so is a future property near London Victoria station, two in the Maldives, and even a future all-inclusive in Dubai (a RIU first). One of RIU’s newest concepts this year was the RIU Pool Party, a concept that started in Mexico, and then was re-introduced to a dedicated space in Punta Cana. With four parties per week – two during day, two at night – the joyous event featuring RIU's dancers and resident DJs unfolds in a signature space opposite of the RIU Riu Bambu, and offers free entrance to all guests over 18-years-old staying in any of RIU’s five hotels in Punta Cana — RIU Palace Macao, RIU Palace Punta Cana, RIU Palace Bavaro, RIU Bambu and the RIU Naiboa. “We’re offering an opportunity to get a great party within the resort without adding expenses or leaving the resort. It’s working well,” Mr. Aguilera told PAX. Another major innovation at RIU is its new Splash Water World waterpark, which recently premiered in RIU’s Punta Cana complex. With slides with names like “Body Vortex” (a closed body slide that shoots you towards a pool) and the “Kamikaze” (which drops you from heights several metres up), in addition to other free-falling slides, the attraction has, so far, made a splash with families and guests of all ages, Mr. Aguilera said. 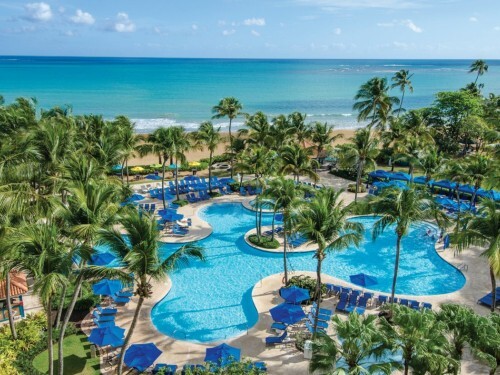 Waterparks will be added to several RIU resorts over the next 18-24 months, including a second waterpark in Punta Cana at the RIU Republica, and parks at Jamaica’s RIU Ocho Rios and the RIU Emerald Bay in Mazatlán, Mexico. “We want to create spaces where there’s a perfect hotel for every single person,” Mr. Aguilera said. Just in time for the holiday season, Sunwing and RIU Hotels & Resorts have launched a month-long promotion for travel agents by offering 4X STAR points and 4X RIU RPC on new bookings at select RIU properties. The offer is valid for departures from Dec. 23, 2018 to April 30, 2019, and each time an agent makes a booking with a participating resort, they’ll be entered into a weekly contest for a chance to win an all-inclusive vacation for two to a select resort.